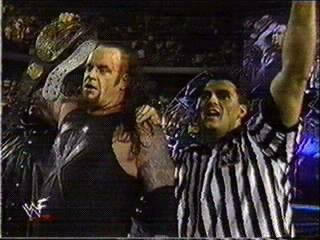 Undertaker wins the WWF Championship - (1999). From "WWF Over The Edge" in May 23rd, 1999. Wallpaper and background images in the Undertaker club tagged: undertaker wwf wwe phenom wrestler deadman wrestling 1999 corporate ministry.